American b. 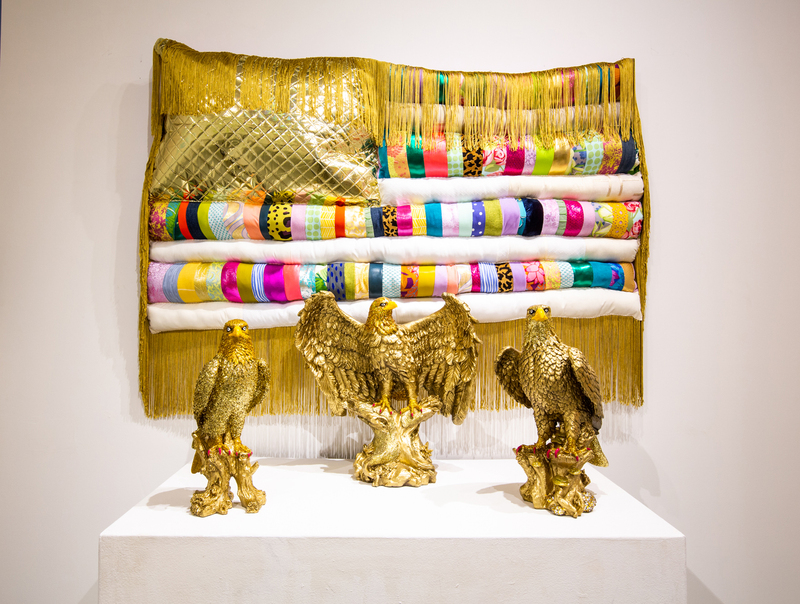 1985 - Natalie Baxter explores concepts of place-identity, nostalgic Americana, and gender stereotypes predominately through soft sculpture, using quilting and sewing skills learned from her maternal grandmother. 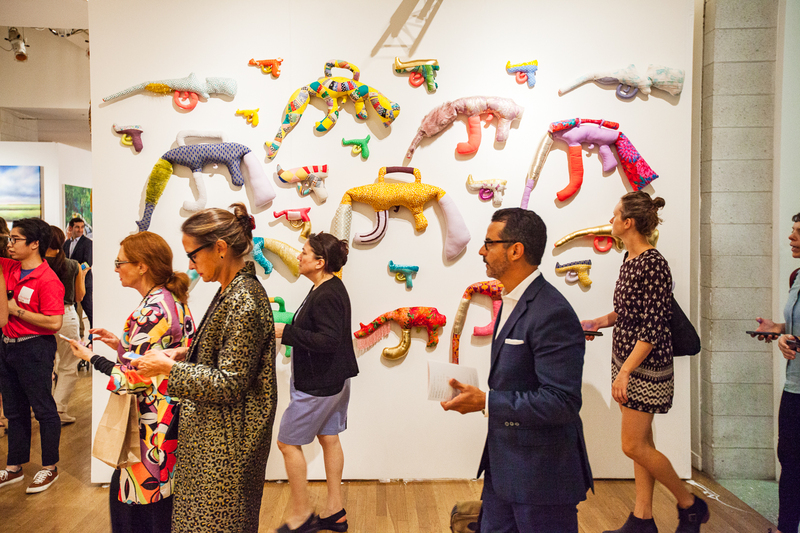 Baxter’s work playfully pushes controversial issues, creating an accessible entry point for unpacking matters of tension in today’s political and social landscape. Her work has been exhibited in galleries and museums internationally, with recent solo shows in New York City, Kentucky, Florida, Indiana and Tennessee. 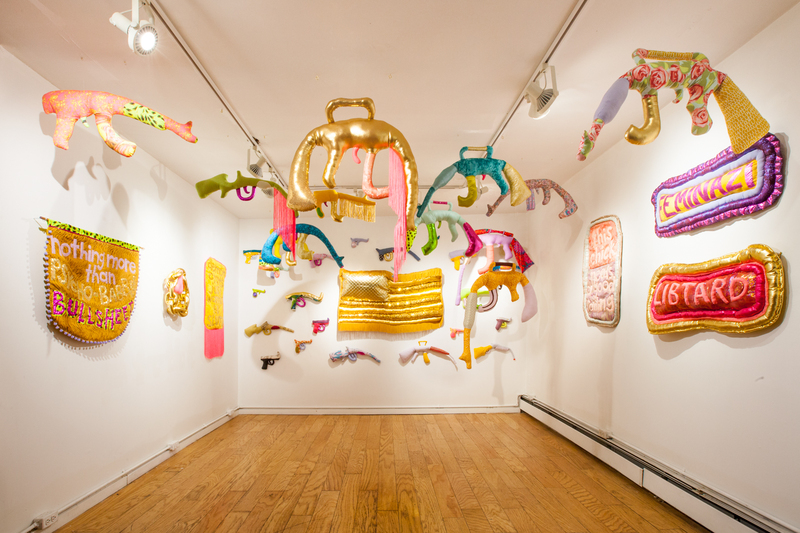 Accolades include a full fellowship residency at the Vermont Studio Center and a grant from the Queens Art Fund. Baxter’s work has been featured in The New York Times, Hyperallergic, The Guardian, Vogue Italia and Bomb Magazine. She received a MFA from the University of Kentucky and a BA in Fine Art from the University of the South; Sewanee. Baxter’s work is held in numerous private collections. She currently lives and works in New York City.